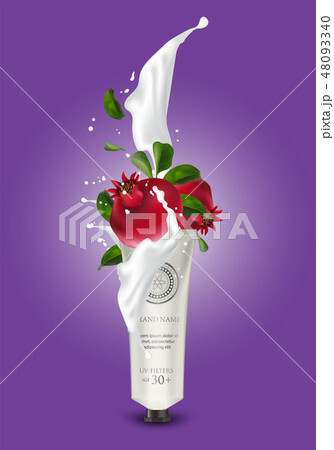 Cosmetic plastic tube jar with pomegranate cream splashing. Isolated white background mockup template. 3d cosmetic container for cream, powder or gel. Packaging design element. Vector Illustration.